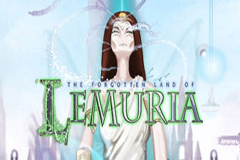 The Forgotten Land Of Lemuria is a 5 reel pokie from Microgaming themed around a lost continent that few have heard of. But it’s got a Wikipedia entry and apparently, the theory of a sunken continent was developed in the 1860’s to explain why certain fossils were found in different locations surrounding the Atlantic and Indian Oceans. You learn something new every day. Anyway, Microgaming have taken the basic idea and turned it into a mystical game with bonus features like wild wins and a pick a prize round alongside symbols of lilies, crystal skulls and rocks. These are pretty random symbols, supplemented by the playing card 9, 10, J, Q, K and A, so maybe it’s best to not worry about any logical theme and just enjoy the view. An ethereal background image of castles, waterfalls and trees makes it look a bit like a scene from The Lord of the Rings, so it’s a nice design that gives it a relaxing ambience. Instead of conventional paylines, this game has an All Ways Pays layout which basically means that any time at least 3 matching symbols land on adjacent reels running from the left side, players win something. 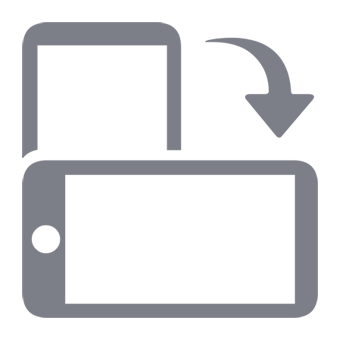 The lower value symbols may be the classic playing card icons but they have each been given a colourful redesign to fit in with the theme, while bigger wins come from the picture symbols falling into the right places. Control buttons are used to adjust the amount bet per spin, with players able to spin the reels for as little as 0.25 and be upping the number of coins in play and the value of each, there’s a maximum wager of 125.00 on offer. There are a couple of extra features that add a little more to the basic run of play. The one that players will see most frequently is the wild substitutions that occur when the elemental symbol acts as any other, except the scatter, to complete winning lines. That scatter symbol is an eye, which we assume belongs to the mystical lady who features in the bonus round, triggered when at least 3 scatters appear at once. This isn’t your normal free spins game, as instead players are taken through Water, Earth and Fire Vaults, picking prizes along the way. Each vault sees the lady standing in the middle, surrounded by various ‘orb’ symbols. Players click on orbs to reveal prizes, but some of them move them on to the next level, so the more that they uncover at each stage, the bigger their overall prize pot will be. Some nice animations accompany this part of the game, while generous payouts make it potentially very rewarding to trigger. Once the Fire Vault is reached and a symbol is revealed to end the round, players are taken back to the main game. It’s an interesting side game and there’s pretty much a guarantee of winning at least something, which is more than can be said for some free spins rounds. This is a game probably best described as ‘Interesting.’ It’s got a mystical theme, but as the majority of symbols are the playing cards, it leaves just a few picture symbols and even these seem a little random in nature.